North Creek Forest needs you!!! Now that the North Creek Forest is owned by the City of Bothell, many people are asking what's next? 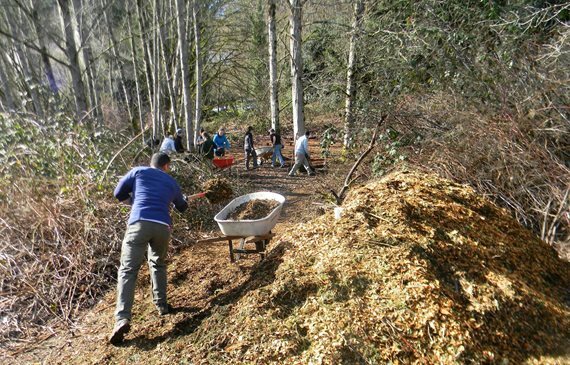 ​In 2011, Friends of North Creek Forest (FNCF) made a promise to the City of Bothell to continue our partnership after the entire forest was saved. And while the completed purchase in 2017 is a tremendous achievement, the work is not done. In fact, in many ways, the most exciting part lies ahead! Volunteer - FNCF hosts a variety of opportunities for the community to be involved! Stewardship events @ restoration sites - Tools, work gloves and snacks provided! Visit the Forest – Connect with nature at one of the community events, or come out to the forest at 20598 112th Ave NE, Bothell, WA 98011. Please note that there is not an established trail system at this time. Have you checked out North Creek Forest, one of Bothell’s newest City Parks? Not yet, you say? Maybe you’re not sure how to find it or didn’t realize it was open to the public? Well, it is open, and you can explore it on your own or through a community program offered by Friends of North Creek Forest. In addition to offering a nature fix, this old forest will patiently teach us delightful lessons, if we're willing to learn. On a recent walk with a friend, I learned how to “read” a story sword ferns tell us about life, death and survival. Next time you are walking through the forest, start noticing the sword ferns. These handsome, sprawling ferns are easy to spot. Older ones have very large (2-4 feet long), leathery, dark-green fronds and grow abundantly along the trail edges in North Creek Forest. Looking for a spot to quench your thirst after spending Saturday mornings exploring the North Creek Forest? We are excited to partner with Cairn Brewing for OktoberForest events on Saturdays, Oct 6, 13 & 20 @ 1-4 pm! Join us for Pub talks and activities for kids. Family and dog friendly venue in Kenmore! Try a pint or 22-oz bottle of Cairn's own newly tapped North Creek Common and $1 will be donated to Friends of North Creek Forest! In July, our wonderful part-time Volunteer & Stewardship Coordinator, Ashley Shattuck accepted a full-time position with the King County Noxious Weeds Board, and we had to say good-bye. We're very grateful for Ashley's leadership and contribution to many successful work parties and her continuing commitment as a forest volunteer. Thankfully, we have an equally wonderful forest enthusiast who stepped into Ashley's boots (so to speak) near August's end. Melissa Gugala began volunteering with FNCF education and stewardship teams in early 2018, and we are delighted to have her join our staff as the new Volunteer & Stewardship Coordinator. Melissa will be leading our work parties and coordinating FNCF's partnership with UW Bothell's CBLR (Community Based Learning and Research) and Restoration Ecology Network (UW REN) teams. Melissa brings experience working with Washington Trails Association to maintain and restore hiking trails in the Cascades, with a focus on making them accessible to all. While attending Cascadia College, Melissa worked on water quality projects for the UW Bothell Campus Wetlands, where she monitored water quality, maintained a database of findings, and prepared reports on the data collected. She graduated from Cascadia College in June 2018 with a Bachelors in Applied Sciences in Sustainable Practices. Prior to joining FNCF's staff, Melissa volunteered for FNCF's education program, teaching grade school students about the forest and explaining why protecting, restoring and maintaining its health is important for all. Melissa believes that the best way to protect forests starts with community engagement and education. Getting people engaged in the forest and understanding why we need these natural spaces is the best way to ensure these places thrive for generations to come. We're so proud of this year's UW-REN team! So great that their work is showcased on the homepage of the UWBothell website.​ Congrats! For the past year, five University of Washington students have teamed together to bring a slice of forest back to life as part of a capstone project. The students — three from UW Bothell and two from Seattle — helped transform a half-acre of North Creek Forest from a neglected eyesore to a haven teeming with life. The forest is now fully owned by the city of Bothell. A master plan process is now underway that will eventually allow public access. The restoration effort, now in its seventh year, provides capstone projects for teams of students from all three UW campuses. They act as project managers on their designated parcel of land, doing research on environmental problems, forging solutions with community partners and local governments, and implementing those solutions with local community members. The students all agreed this was a standout moment in their academic career, not only for the experience but also for the friends and connections they made. GiveBIG 2018 is May 9!! Thanks to the generosity of FNCF donors - matching funds are available for your GiveBIG gift. 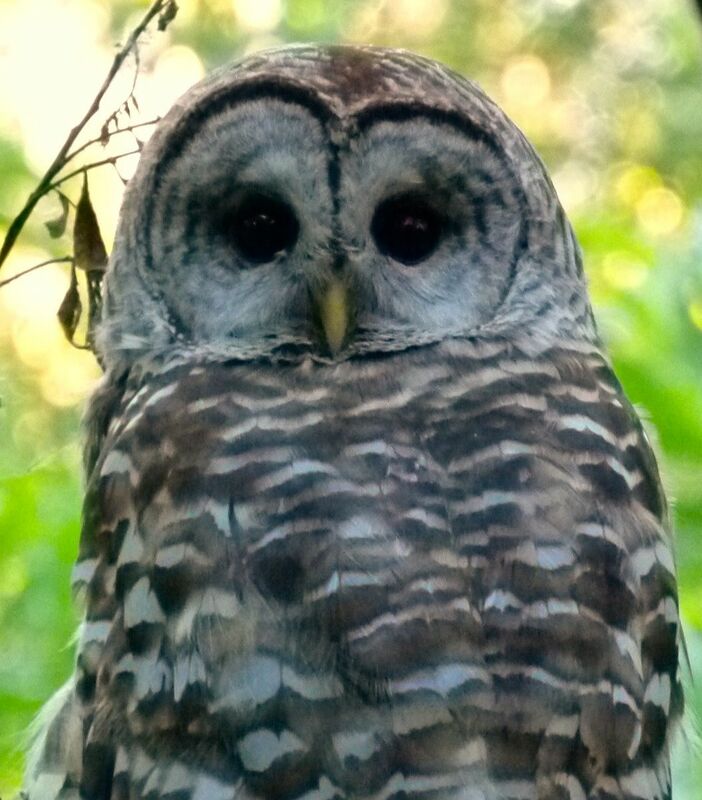 Your donation supports programs that honor relationships with nature, build a healthy forest preserve, and develop a resilient community that can respond and adapt to our changing climate and world. Thank you for giving BIG to the North Creek Forest!! Join us Tuesday, May 8 between 5 pm - 11 pm at Tavern on the Square located at McMenamins Anderson School for a drink, a snack or a full meal and 50% of your bill will be donated to Friends of North Creek Forest! DIRECT RESERVATIONS with McMenamins are highly recommended: by phone: (425) 398-0122 or online via Open Table. Proceeds from this event will fund programs benefiting the North Creek Forest and the community! K-12 school field trips, university research projects, forest restoration volunteer work parties and more! Friends of North Creek Forest Board members and UW-REN team will be available to answer your questions and explain why the North Creek Forest is such an extraordinary feature in our growing city. Thanks to McMenamins Anderson School for their awesome support! More info: Friends & Family Night!